Again, Dr Lempert's Ear Hospital at the time. Dr Lempert was an ear surgery pioneer, a Broadway investor, and married a Ziegfeld follies showgirl. 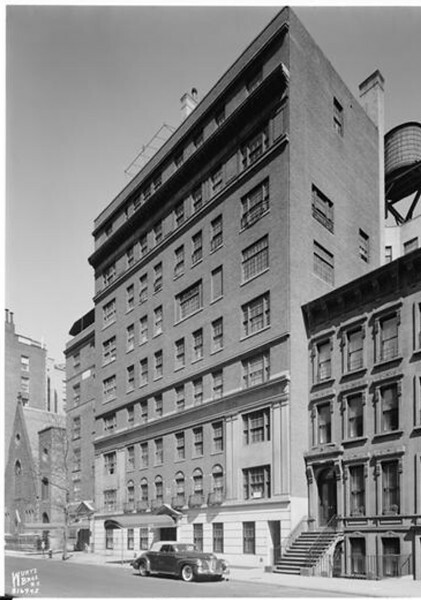 Here you can see that 125 E 74 St has been built, and is as today, it was then 20 years old. We have a canopy at the front door, as most neighbourhood buildings still do. Where ours went is a mystery. The other mystery is that the shutters are already gone, just 20 years later. The town house to the right is still here.